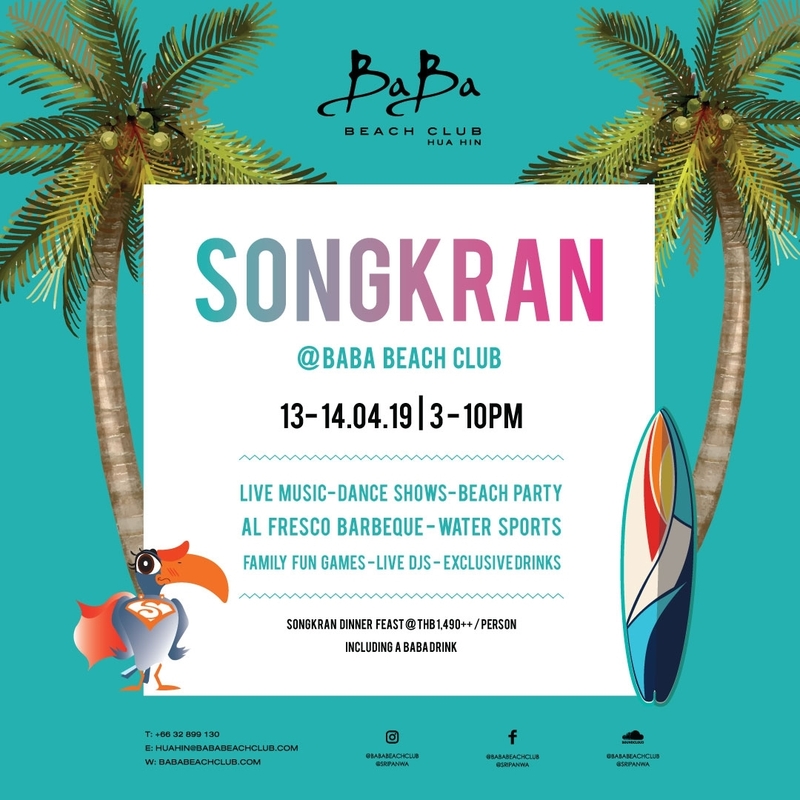 Celebrating Songkran in signature style, Baba Beach ClubHua Hin is set to welcome the Thai New Year with an exclusive beach party with live music by multiple different bands, dance show, al fresco barbeque, all day water sports, talented guest and local Djs. 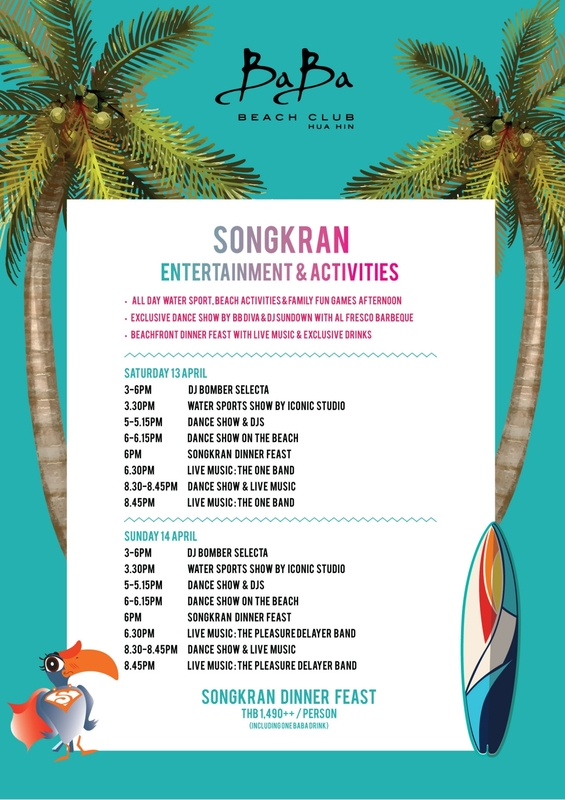 As well as family fun games will be held at our beachfront courtyard garden at Baan Chok. 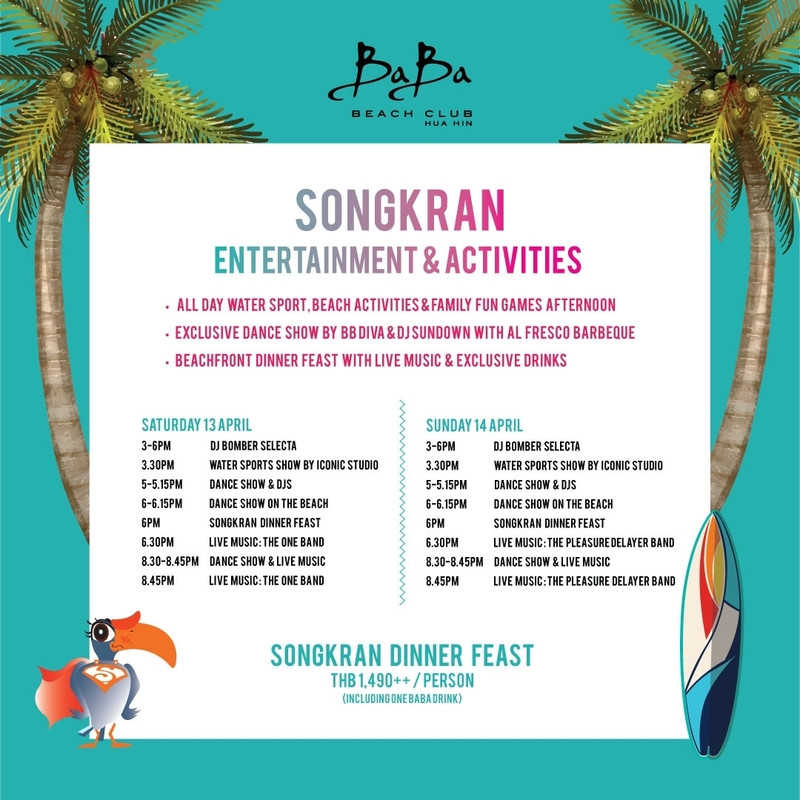 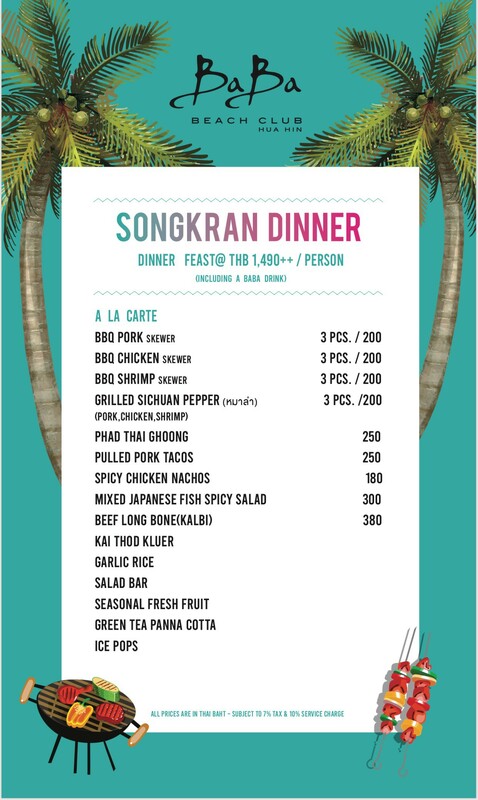 Finishing off each evening with a beachfront dinner feast, celebrating with both family & friends enjoying the sea breeze, beachvibes and Songkran fun perfect for a weekend escape!